The BMW 8 Series is a range of grand tourers produced by BMW. The 8 Series was introduced in 1990 under the E31 model code and was only available as a two-door coupé. It is powered by a range of naturally aspirated V8 and V12 petrol engines. The E31 started production just as E24 6 Series production ended, however it is not considered a direct successor. It was later discontinued in 1999 due to poor sales. The model range was later reintroduced in 2018 with the second generation, G15 8 Series. It is expected to launch in coupé (G15), convertible (G14), and four-door Gran Coupé (G16) body styles, as the successor to the F06/F12/F13 6 Series lineup. The G15 8 Series introduces an inline-six diesel engine, and a high-performance M8 model is also expected to be launched in the future. 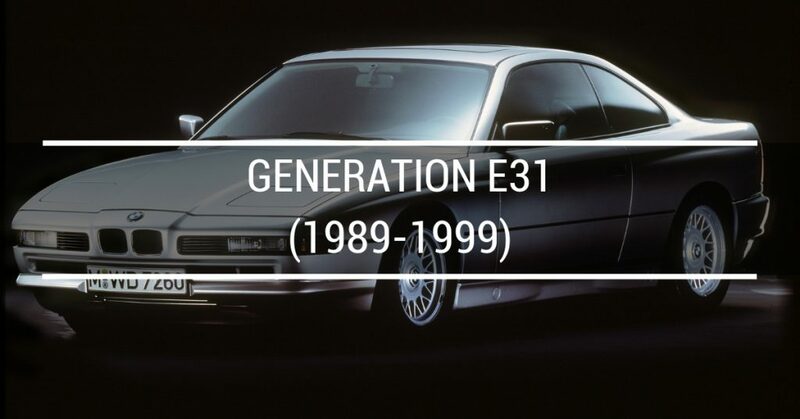 Design of the first generation E31 8 Series began in 1984, with final design phase and production development starting in 1986. The vehicle debuted at the 1989 Frankfurt Motor Show, and was produced until 1999. The 8 Series was designed to move beyond the market of the original E24 6 Series, featuring greater performance and an increased price. The 8 Series was the first road car to offer a V12 engine mated to a 6-speed manual transmission and was one of the first vehicles to be fitted with electronic drive-by-wire throttle. The 8 Series was also among one of BMW’s first cars to use a multi-link rear axle. 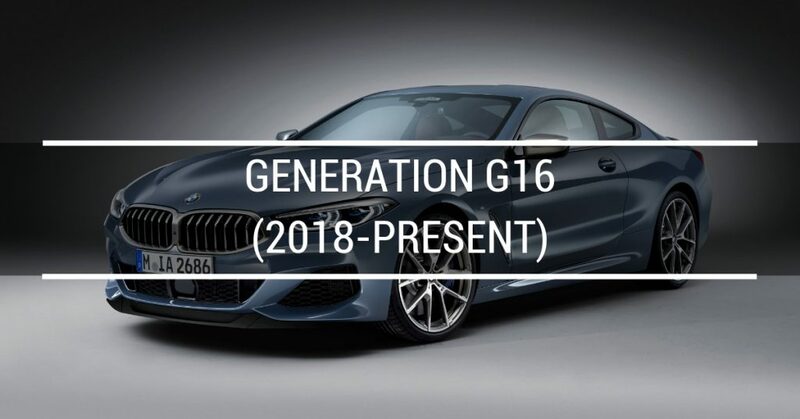 The G14 BMW 8 Series was announced on June 15, 2018 with sales commenced from November 2018. It is currently only available as a coupé (codenamed G15), with convertible (G14) and four-door Gran Coupé (G16) variants expected to be released soon. Production commenced in late 2018 at the BMW assembly plant in Dingolfing, Germany.